My husband and I bought the second house we saw because we fell in love with it. Jaime took us through the process with great ease, and professionalism. My husband and I definitely recommend this realtor, he's thorough in explaining any questions you might have on buying a home and is a very good negotiator, he is also very understanding, compassionate and very smart! We have had a few realtors that have had to let go due to lack of understanding but Mr. Salgado has definitely gone all the way for us. We believe in the Pemian Basin he is the best. He knows about VA loans and the other types that are out there, you won't be disappointed! Our experience with Jaime was great, he answered all of our questions and always had the time for us if we had any concerns. I would definitely recommend him as a Realtor. We moved from out of town and Mr. Salgado was the first person we came into contact with and could not have been more pleased. We found a house we liked and he pretty much took care of everything we needed to do and get. He was very informative and on top of it all. We are in the oilfield so it is difficult to meet up sometimes but Jaime was always available and flexible when we needed him. A great guy and would recommend him any day of the week. If you need a house this is the guy to go to. 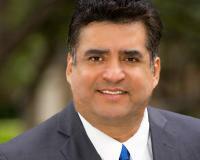 When my wife and I had decided to purchase a home we were referred to Jaime Salgado. He worked harder than any other Realtor we came in contact with and he did not give up until we had the house that we wanted, so we are really grateful for that. Jaime Salgado is an exceptional realtor. From showing us houses to helping us find and buy our home, he made it very comfortable and easy. The entire buying process went just as smooth also, including negotiations. I would definitely recommend Jaime to anyone, he will definitely take care of you. Mr. Salgado was super professional in the way he handled listing my house and gave valuable advise on what needs to be done every step of the way, I had to relocate my family out of state so I wasn't physically close to the property and Mr. Salgado was amazing in his follow ups in minor touch ups and repairs that needed done, also his timely communications and advice were outstanding to an impressive level. The house sold in a declining market for the value I asked for. Trustworthy, reliable and experienced realtor, would definitely recommend and endorse. Jaime was very professional in handling my affairs. My house was a very tough sale and he made it happen! Before then, he helped me manage the leasing of this property. I feel both sides were very satisfied during the time of both lease agreements. I came to Odessa going through a bad divorce. It took several months to settle the divorce but during that time Jaime never stopped helping me look. He was very professional. His guidance became very valuable in finding my home. From April till February 29 Jaime stuck with me. Now I've got the perfect home. Thank you very much Jaime. Just want to say a home is everybody's dream and that dream came true. I cant say enough great things about my relator Jamie Salgado with JPS Realty. Such knowledge with the process, but most important cared for me every step of the way. I sure will recomend him to anyone i know interedted in buying a home. Thanks Jaime for making my dream come ture. We tried to work with other, big name realtors. None of which seemed interested in helping us sell our home. We received a letter from JPS Realty & decided to give it one last shot. Thank you Jaime! I only wish we'd found you sooner!!! The caring & expertise helped make ours & our buyer's dreams come true! I will tell anyone selling or buying skip the others and give JPS Realty a call. "Jaime was great, very open to my wants and needs, and always available. As a first time homebuyer, he helped with the process every step of the way. I would definitely recommend Jaime! more "
"Jaime makes things happen. I love the fact that you can call him at any time and he is always available. I had request odd hours to see different properties and Jaime makes sure it gets done. "Jaime was very friendly, professional, and helpful. He was fully attentive to our wants and needs and helped us stick with our budget. The process was very quick, with minimal bumps in the road. My boyfriend ... more "